The Environmental Protection Agency on-scene coordinator whose orders last August ultimately caused the Gold King Mine blowout recently had some choice words about the people of Durango and their reaction to the event. In a July 22 interview with the Telluride Daily Planet, Hays Griswold, speaking of a cleanup project set to begin at a mine near Ophir, cautioned residents there that work might cause some discoloration in the Howard Fork of the San Miguel River. “You may see some yellow water. Don’t get excited like they do in Durango,” Griswold said. 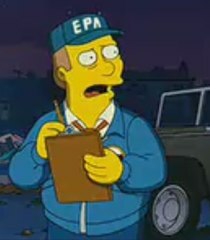 Does Griswold mean that Durango was just over-excited when the community jumped on board the EPA’s push to turn Silverton into an EPA Superfund cleanup? Did he mean that there was never anything wrong with the water and that Silverton did not need to be turned into an EPA Superfund cleanup? All we know is that one EPA official responded that the other EPA official’s comments do not reflect the views of the agency. The EPA still has not answered why Griswold still works for the federal government after his disastrous experience with the Gold King mine. Even more concerning, why the Hell is he in charge of another cleanup in Colorado at the Carribeau Mine near Ophir, where 15,000 cubic yards of mill tailings are being disposed? It’s only slightly reassuring, if not completely telling, that he will not be going anywhere near the mine’s adit, which is leaking hundreds of gallons of mine drainage a minute. No word on what color the water is there. « CAPTION THIS: Is This the Most Awkward Hug Between Morgan Carroll and Diana DeGette?